With 27 goals scored around Europe, it was a wild night to remember in the Champions League as the world's greatest club competition lived up to the hype yet again. Robert Lewandowski's hat-trick in Bayern's bulldozing of Zagreb was the feature in a night which saw English teams plummet further, while Suarez helped Barcelona survive a late escape from Bayer Leverkusen. As always, we run down all the action from the Champions League—here's the roundup for Tuesday 29 September 2015. Robert Lewandowski continued his unstoppable goalscoring form as he scored a hat-trick in Bayern Munich's rampant victory over Dinamo Zagreb to take a stranglehold of their group. Douglas Costa fulfilled early expectations and opened the floodgates for an expectant, loud crowd at the Allianz Arena. Following a period of activity in the early changes, the Brazilian breezed past a defender before smashing it past the keeper to put the Germans in front. It wasn't too long before the Bavarians doubled their lead, this time through their red-hot striker, Robert Lewandowski. The Pole—riding a wave of momentum after unstoppable form—was found in ample space by Thiago, sweeping it straight into goal. Minutes later, Pep Guardiola was euphoric as his side grabbed a third, as Mario Gotze got his name on a rapidly growing scoresheet, linking up with Coman before drilling it in and it was too much for Eduardo to handle. Dinamo Zagreb could barely catch their breath. Soon after, Bayern's unstoppable striker would prove even more unstoppable, as his header crept over the line when clipping the underside of the woodwork when he latched on to a corner kick. While there were no goals scored up to the interval and the ten or so minutes that followed it, Lewandowski then completed his hat-trick as Bayern found a fifth goal. It was a fine lob executed by Lewy, when he got on the end of Thiago's flick through the centre to continue and conclude pummelling their opponents. They've certainly set the pace early on. Olympiakos delivered a huge blow to Arsenal's Champions League hopes as Finnbogason made the difference in a disastrous night for Arsene Wenger at home. Felipe Pardo sent the Emirates Stadium into silence and concern after half-an-hour of play as the Colombian's strike took a huge deflection to creep into the bottom corner of Ospina's goal. Veering away from a corner, he dragged it back towards goal and it came of Oxlade-Chamberlain leaving his compatriot helpless. Just what the doctor ordered, Arsenal responded quickly to keep North London bouncing. Almost instantly from kick-off, a move concluded with Walcott racing down wide and arrowing a shot which crept past Roberto in a display of quite poor goalkeeping, but nonetheless the Gunners were back in it. 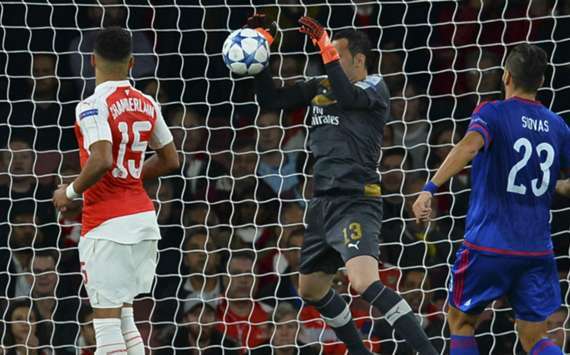 But just when Wenger's men were beginning to materialise the foundations for a fightback themselves, a blunder from David Ospina reinstated the Greeks' lead. He came to claim Fortunis' corner, but instead he spilt it and the ball just crossed the line, with the decision of the extra official on the goal-line proving decisive. Whatever the manager said to his players during the interval, it worked. Arsenal came out with intent and knocked on the door from the start but the visitors managed to cling on with some courageous defending. Eventually, they broke their resistance, with Alexis Sanchez running on to Theo Walcott's cross in plenty of space to direct a header past the keeper. 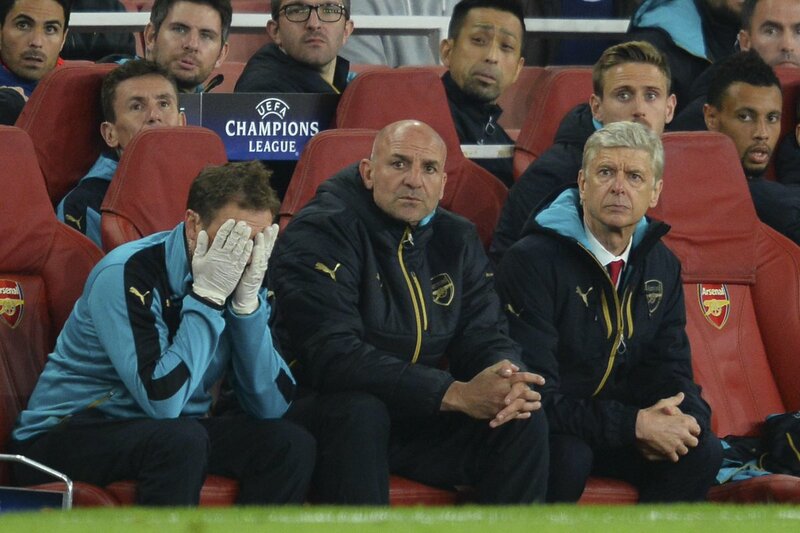 Perhaps focusing too much on going for the kill, Arsenal were then truly stunned. Finnbogason got on to Pardo's cross and a troubled back line was disoriented, allowing the hosts to take the lead once again. With time ticking down, the panic in Arsenal grew—their attempts rose in desperation, but they threw the kitchen sink at Olympiakos. Whatever kitchen sink it was, you don't need a Level 2 plumbing qualification to realise that it just wasn't enough, it was a massive setback for Arsenal, losing their first two Champions League group stage games. 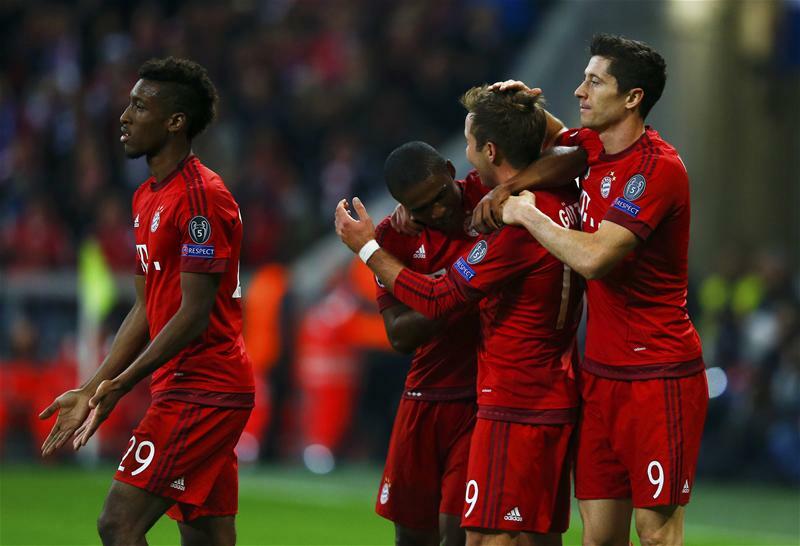 With back-to-back meetings with Bayern Munich to follow, their European hopes are certainly in jeopardy. 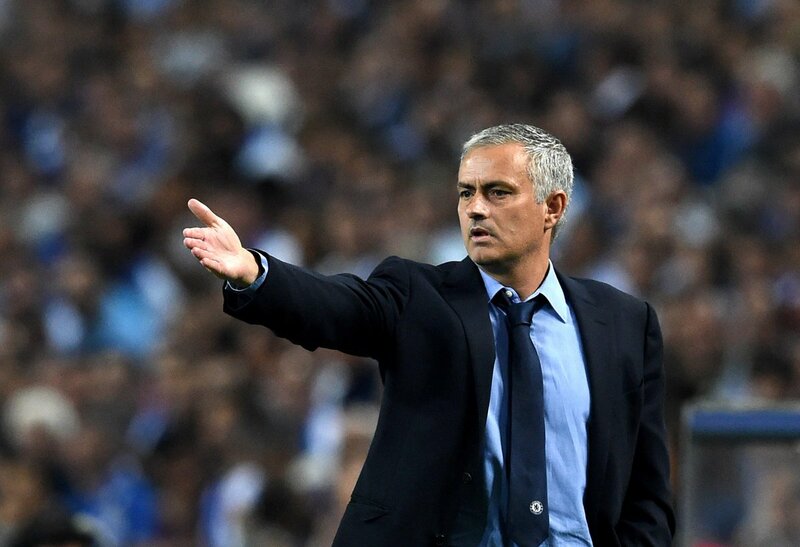 Jose Mourinho's Chelsea suffered a loss as his return to the Dragao was spoiled by Maicon's goal despite a stunning Willian free-kick in Portugal. Iker Casillas definitely provided some food for thought for Jose Mourinho with a stunning first-half save to keep Chelsea goalless while Diego Costa was up to his usual angry antics by getting on the nerves of a few defenders. Porto would go one further when André André put the Dragão occupants in front thanks to wonderful running from Brahimi, before forcing Begovic to parry. But on the rebound, André was ready to fire it into the top corner. Jose Mourinho's team talk wouldn't be about getting back into the game though, thanks to a thunderbolt of a free kick in the last kick of the half from Willian. He curled his free-kick around the wall and it was too fast for Casillas to stop, keeping the Blues well in it. Not too long into the second half though, the visitors would suffer another setback as Maicon steered a header past the keeper from a corner kick to put the Portugese team into a lead that they would not surrender for the remainder of the group stage encounter, as Mourinho's current team crashed to one of his former clubs. Two late goals in a two-minute period gave Barcelona a true kickstart to the campaign as Roberto and Suarez overcame a resistant Bayer Leverkusen side at the Camp Nou. Kyriakos Papadopoulos left the Camp Nou in a paralysis of shock after some shambolic defending by the Catalans which gave Leverkusen a much-deserved lead. The cross floated high above Ter Stegen, and with Mathieu not contributing, it was a close range effort for the Greek centre-back to head in leaving Suarez infuriated as he argued with his keeper. A majority of the first half saw the Germans on the front foot, until the later moments when the hosts began to wake up, hinting at a potential comeback. Those suggestions grew louder and louder right from the beginning of the second half, but Bayer made their intentions clear - to defend and stay strong. They did, right up until the 80th minute, where Jordi Alba's cross found Luis Suarez and he knocked it on to Sergi Roberto for an easy goal from close range to finally bring some smiles around the stadium. Then, the Camp Nou erupted. 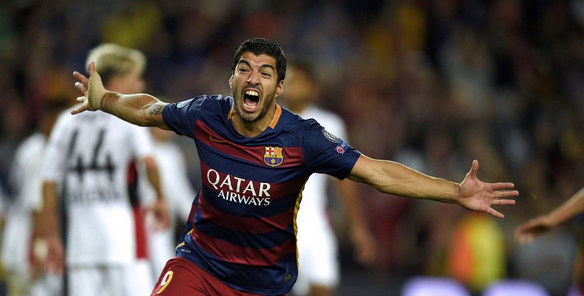 Thanks to Luis Suarez, Barca found themselves in front after struggling for the most part in the game. Munir found his way to get into the box and cut it back to the Uruguayan, and he curled it from just inside the area to give last season's champions a hard fought victory. Retaining the Champions League is hard, in fact impossible for any team so far—Barcelona will face many more tough nights on the road if they want to become the first team to do so. Roma's second half fightback was not enough to overturn a brilliant first half spell from Bate Borisov as the Belarusians stunned i Lupi in a thrilling game. Nikolai Signevich began what would be a stunning result as he got on to the end of a quick move and rebounded to make things very loud at Borisov's home ground. Roma were living out a nightmare when just minutes later, Mladenovic found Sczcesny out of position and landed a long range shot into the top corner. But a dream period was not over there, as he would get a second by shooting over the keeper and clipping off under the bar to leave the Italians shellshocked. After a struggle and a thirst for inspiration, Gervinho provided a goal back for i Lupi, and they certainly needed it. Salah and Falque linked together and the Ivorian striker had a simple finish to make. Torosidis then set for some late nerves at the home ground, landing on to Digne's ball and finding a second. 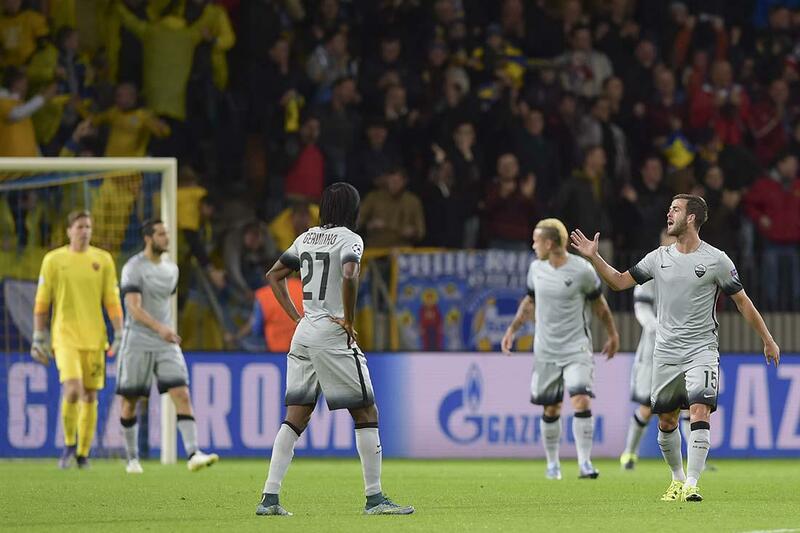 Bate managed to hang on, only just, and it was euphoric at the Borisov Arena. Macabi Tel Aviv 0-2 Dynamo Kiev: Yarmolenko and Junior Moraes' goals made for a comfortable away victory for Dynamo Kiev as they eased past Macabi Tel Aviv to continue the Champions League newbies' drought in Israel. Zenit 2-1 Gent: Yet again Hulk was the influence as he set up Dzyuba and Shatov for the Russians to cruise past Gent even though the visitors got one back for themselves in St. Petersburg. Lyon 0-1 Valencia: A wonderful strike from Sofiane Feghouli gave Valencia the win away at Lyon and the French's last gasp attempts to grab something back fell short. Bayern Munich have made a statement. Barcelona just survived. Two favourites have shown their worth in two very different ways tonight. For the Premier League clubs, a lot of doubt is looming. One thing is for sure though - if this night is anything to come by, the whole world is in for an absolute treat. Thank you for reading this roundup. Please support us by sharing this link wherever you can.